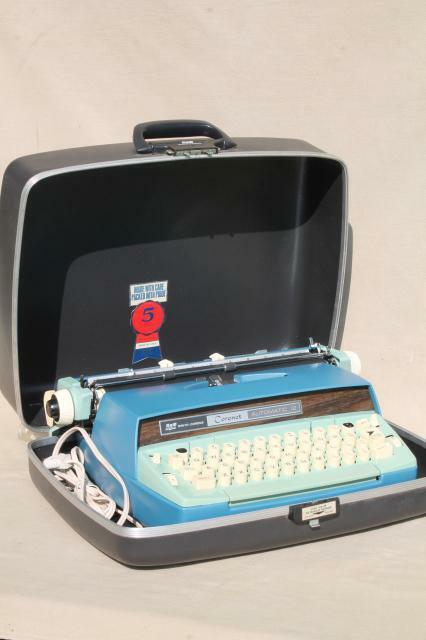 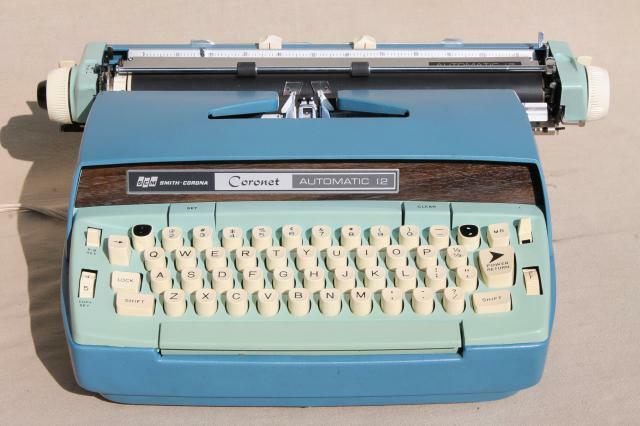 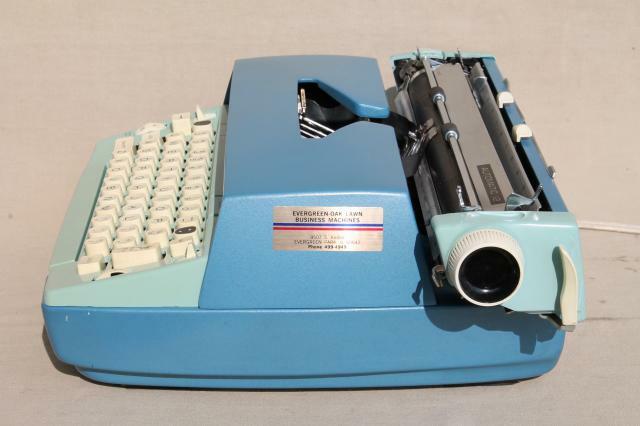 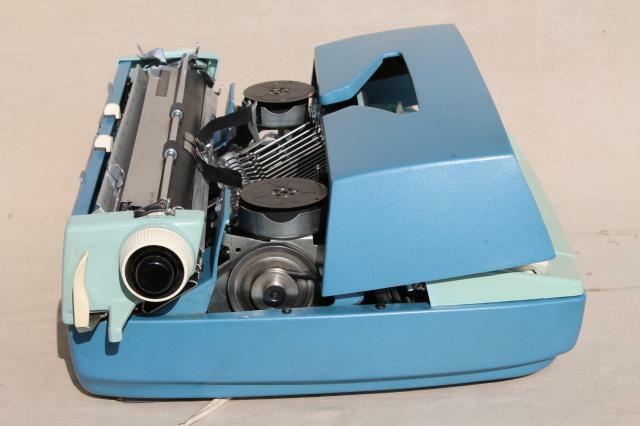 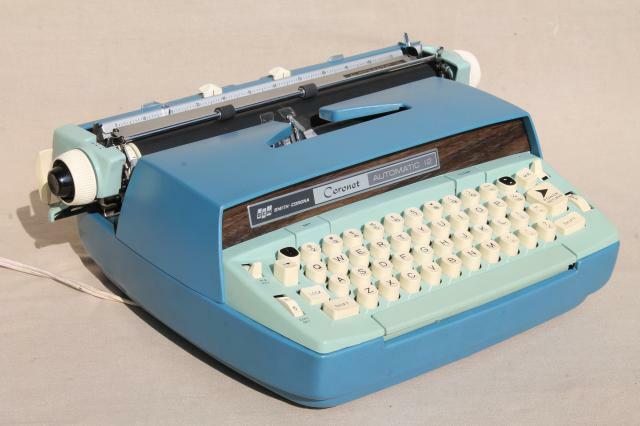 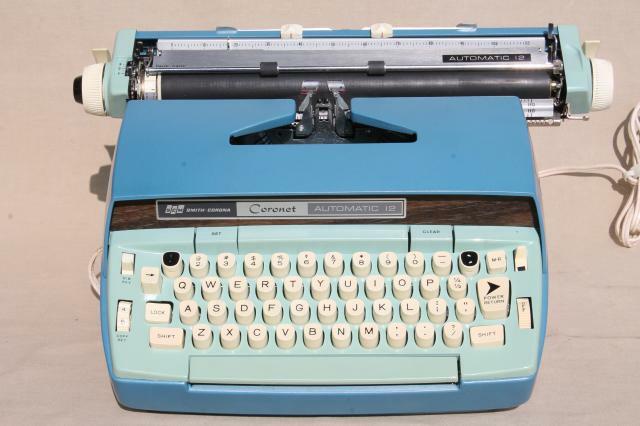 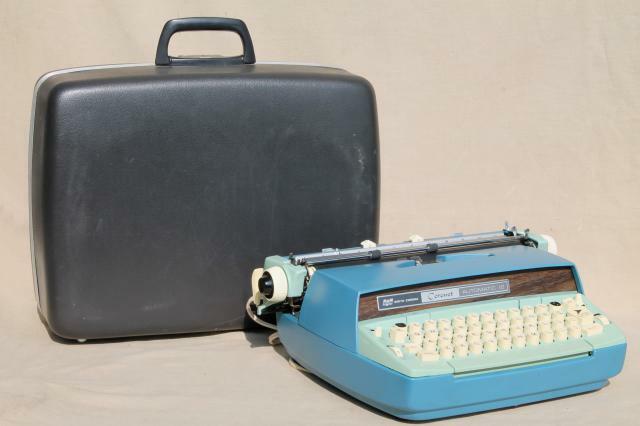 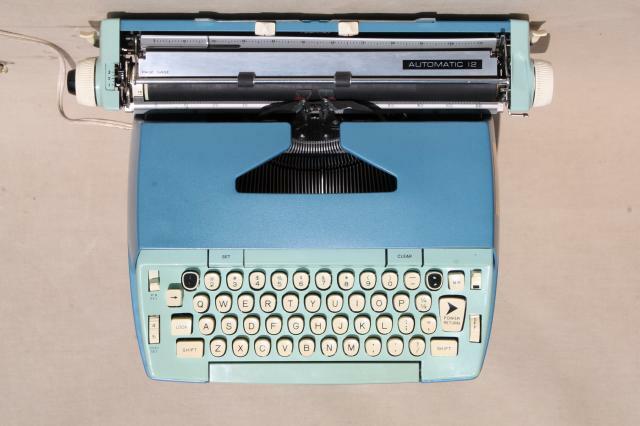 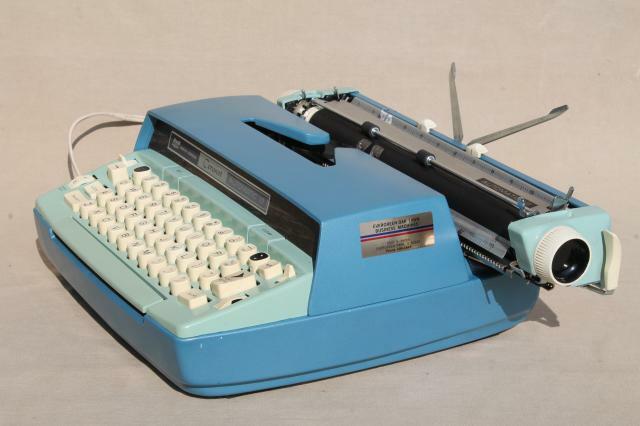 Mid century vintage blue electric typewriter from the 1960s. 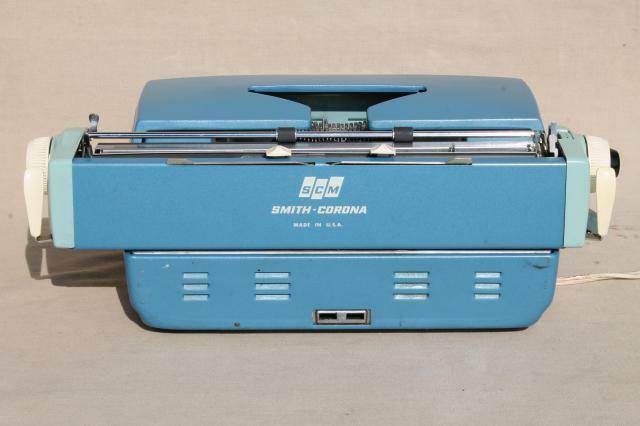 It's in nice clean condition with a servicing sticker on the side. 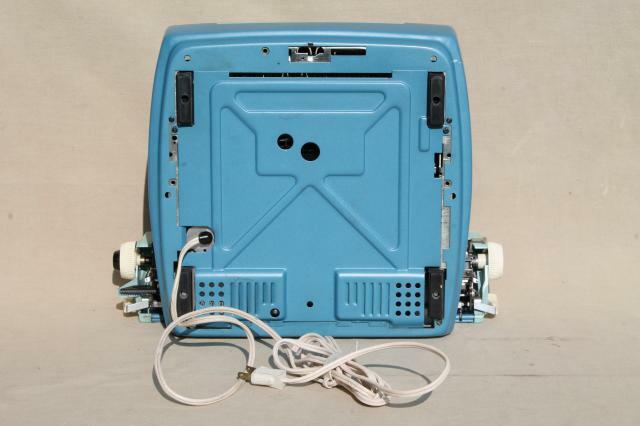 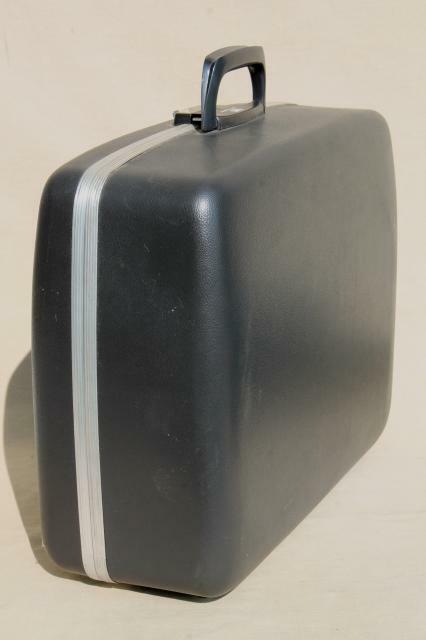 While it doesn't work, it makes a great retro photo prop or decorator piece for your desk or office! 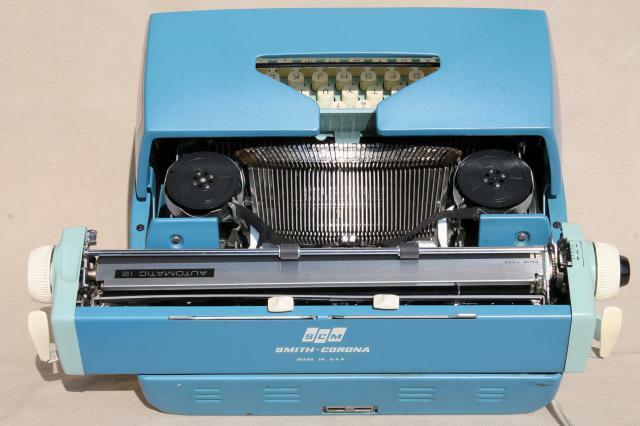 The drive motor hums and we saw a badly worn (and probably failing) drive belt. 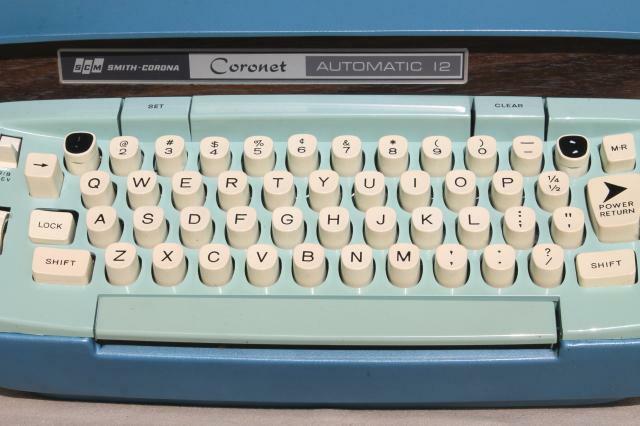 The keys are also acting like there might be a jammed key or stuck linkage (a couple try coming up at the same time on a key press).